This book is based on an imaginary diary written by a Christian soldier in World War II, from the opening of hostilities in 1939 to the end of the war in 1945. The accounts of events it covers are based on fact but, as in any military force, rumours and speculation abound from day to day. At times our soldier seeks to add a touch of light-hearted humour, sometimes necessary to sustain morale. 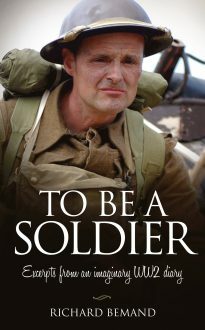 The soldier’s diary looks at some of these events, together with thoughts about his family and personal life at the time, and reflects on the events of the war as they relate to his Christian life.